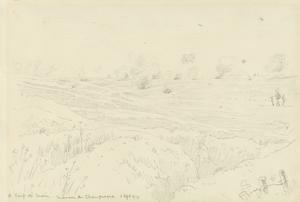 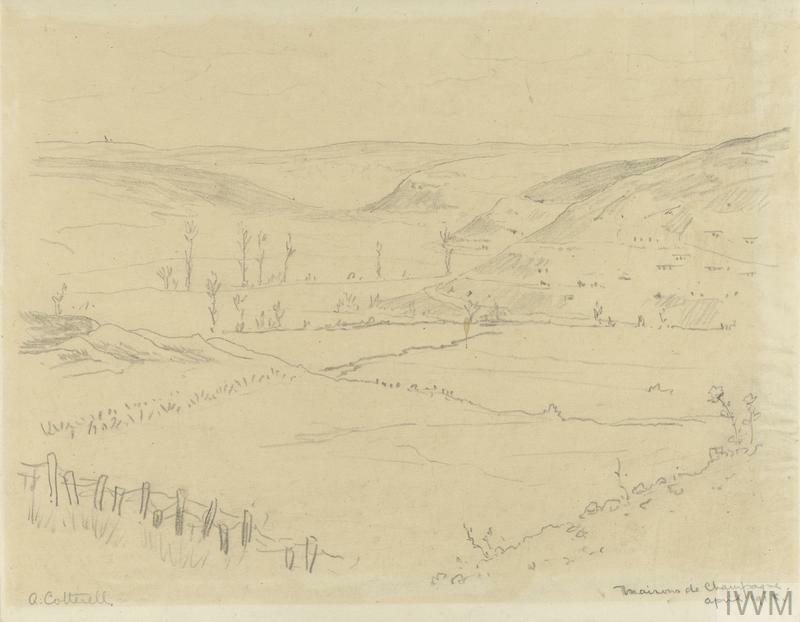 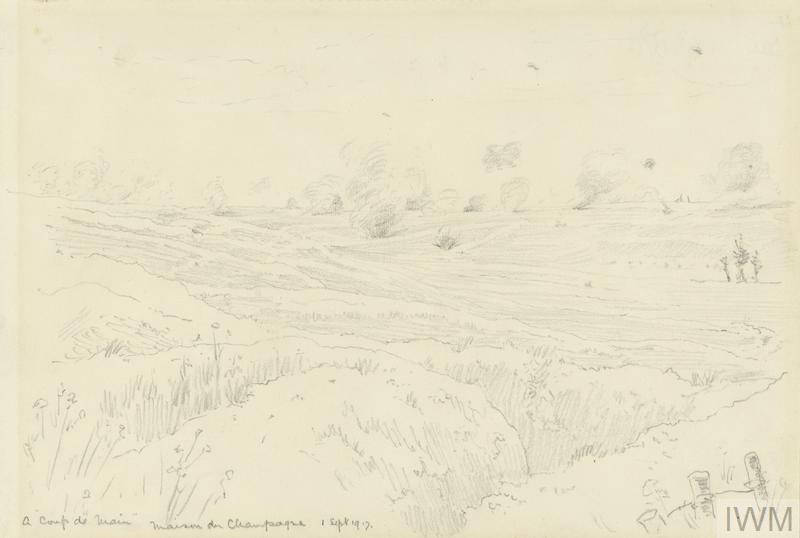 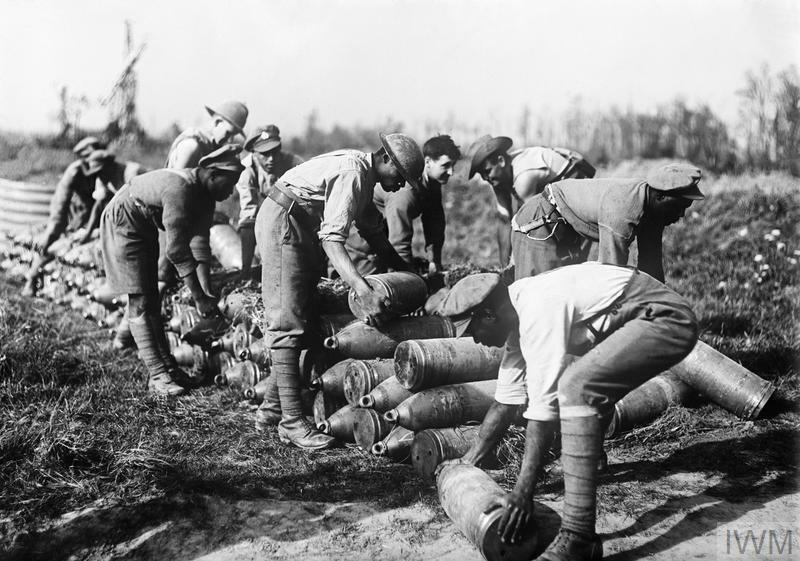 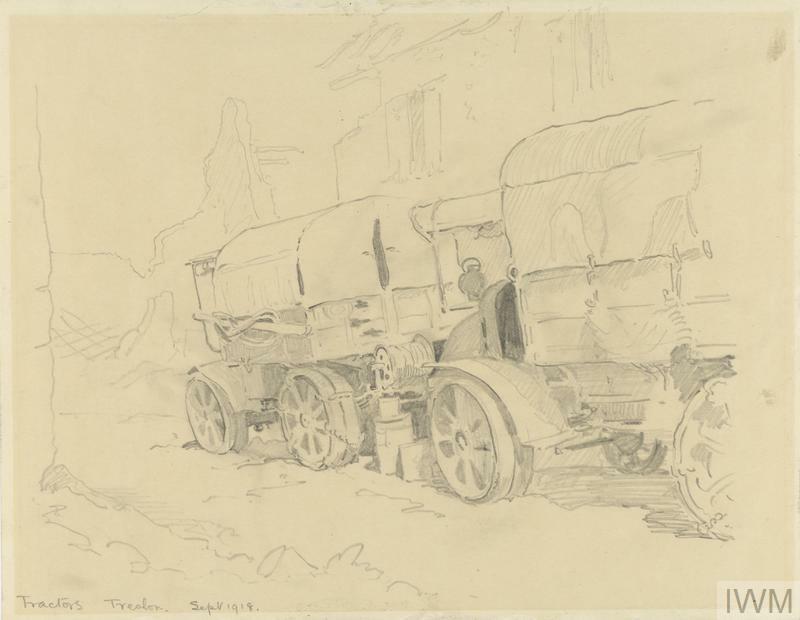 image: a view across a battlefield in Champagne during an artillery bombardment. 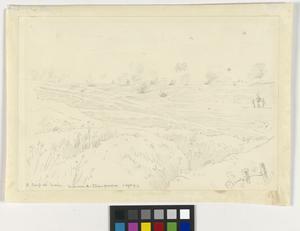 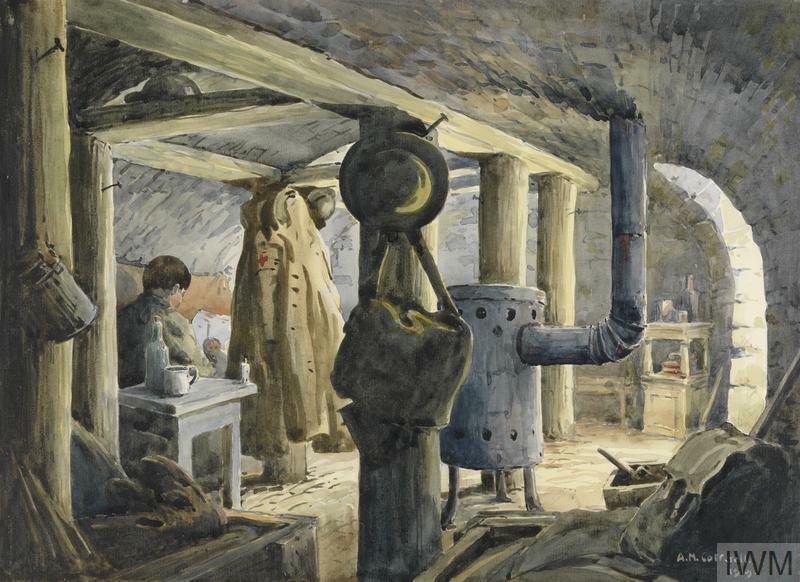 In the foreground a disused-looking trench runs across the composition, with the ground falling away down to a shallow valley. 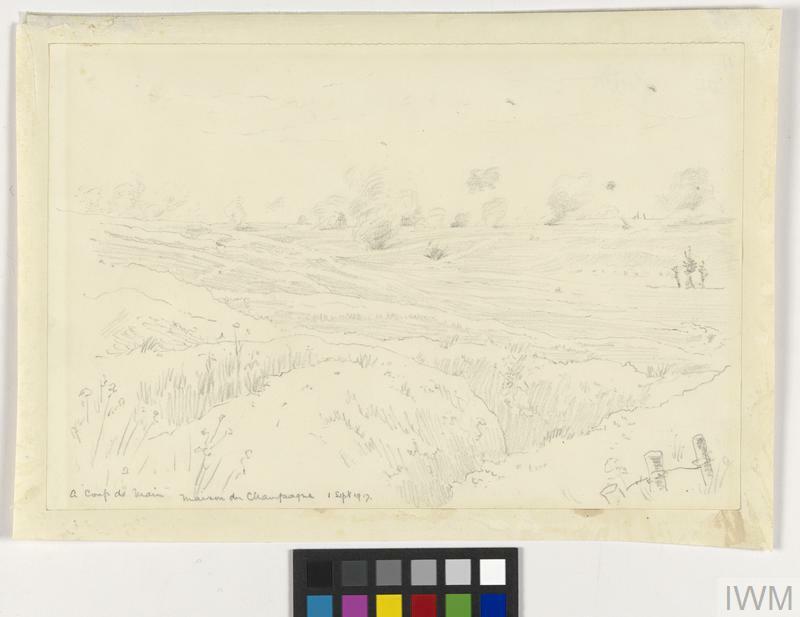 Numerous explosions of falling shells are visible on the gradual slopes and horizon in the distance.